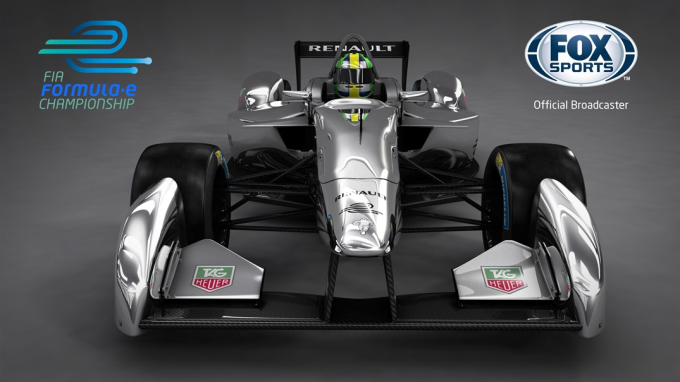 FOX Sports, one of the largest global sports networks, has today (August, 9th 2013) signed a multi-year, international multi-media deal with the FIA Formula E Championship, the world’s first fully-electric car racing series beginning in September 2014. Formula E is a new FIA Championship featuring open-wheel cars powered exclusively by electricity and racing in the heart of 10 of the world’s leading cities, including two in the US with Los Angeles and Miami. Designed to promote interest and investment in electric vehicles and sustainable motoring, 10 teams each with two drivers will compete in one hour races using Formula cars capable of reaching speeds of more than 220kph with zero emissions. As well as full US broadcast exclusivity across the FOX family of networks, including FOX Sports 1, America’s new sports network set to launch on August 17th, FOX Sports also has exclusive and non-exclusive rights in more than 80 territories including Canada, Latin America/Caribbean, Netherlands, Italy, Hong Kong, Malaysia, Indonesia, Singapore, Taiwan, South Korea, Australia, key Asian territories and other areas of Asia, India and Africa. The deal, across all territories, includes exclusive and non-exclusive on-line and mobile transmission rights. As well as two races in the US, last month saw leading IndyCar outfit Andretti Autosport become the first US team to join Formula E. Six of the 10 teams have now been signed for the inaugural season, three of which have already been announced with Andretti Autosport, China Racing and British-based Drayson Racing. FOX Sports internationally is largely operated by FOX International Channels, 21st Century FOX’s international multi-media business operating over 300 entertainment, sports, factual and lifestyle pay-TV network and non-linear services worldwide.